We are a complete family owned & managed business, supplying and installing Rehau UPVC windows and doors. Whilst many things have changed in the glass industry over the years, our dedication to the quality and high standards of our work has not. You can find us on Facebook to see all the latest work we've been doing, as well as getting in contact with us and sharing reviews. We are a complete family owned & managed business with over 35 years experience of supplying and installing Rehau UPVC windows and doors. Whilst many things have changed in the glass industry over the years, our dedication to the quality and high standards of our work has not. Experience counts for everything… Our knowledge of the glass industry is vast. From simple failed unit replacements to seafront penthouse complexes… No job is too big or small. By choosing Watkins Glass, you are ensuring that the products used and the service offered are of the highest standards including superb customer service. Every customer, when looking to have work carried out will always think to themselves "Can we trust them? Will the work be of a good standard?" etc. We are full members of Checkatrade.com which means our work is recommended, vetted and monitored. Please read our customer reviews. 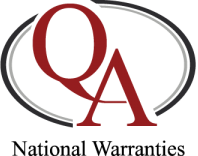 All of our work is monitored by Certass, the UKAS accredited certification body & all of our work comes complete with a QAN-W 10 year guarantee on products and installations (terms and conditions apply). At Watkins Glass, we pride ourselves on offering a friendly and professional service to all of our customers; something that is sorely lacking in todays industry.